I have written about Soane on many occasions in the past as they represent all that I love in the world in design. Their dedication to handmade craftsmanship, elegant designs and worldly point of view make them a firm without many equals. I am thrilled to finally be able to share with you some of the fabulous Soane Fall 2016 designs that I have been quietly coveting in my office. 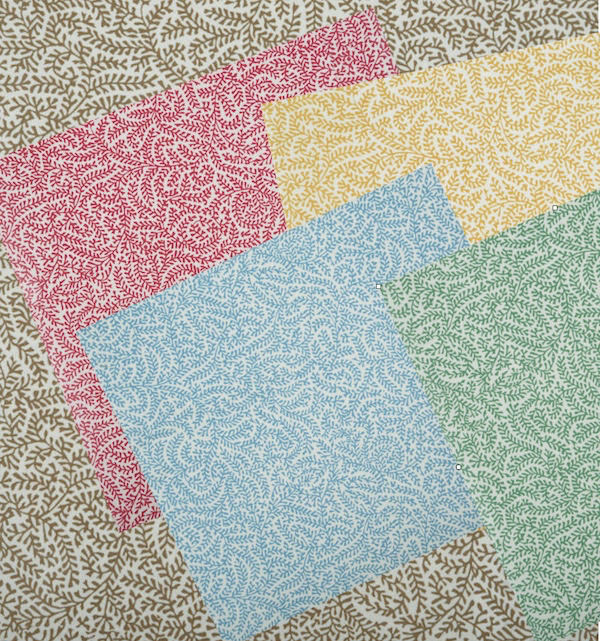 Setting the tone for the collection is the exquisite new Paisley Parrot fabric, shown here on a drool-worthy custom bed treatment. 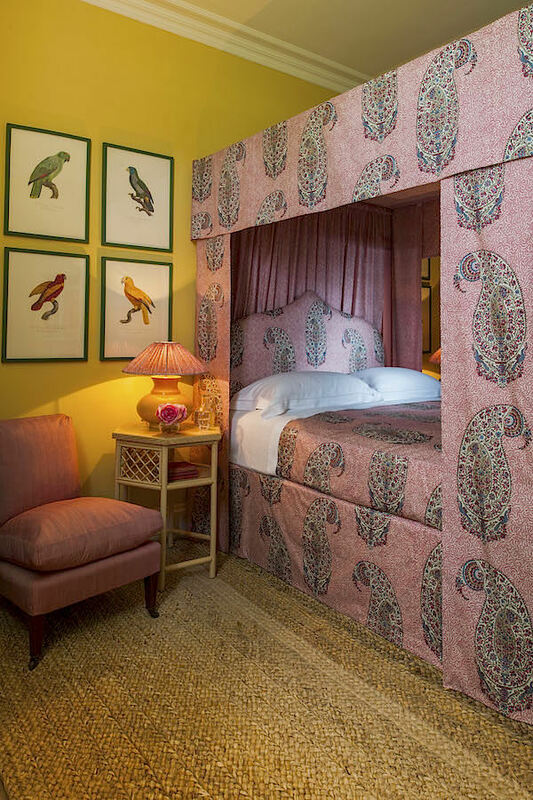 The bold scale of the print, combined with its intricate “parrot within a parrot” design, is a testament to owner Lulu Lytle’s knowledge, imagination and creativity. Based on a mid-19th century block printed document Lulu found, the design was reworked so that the layout covers the entire width and length of the fabric for a dramatic presentation. 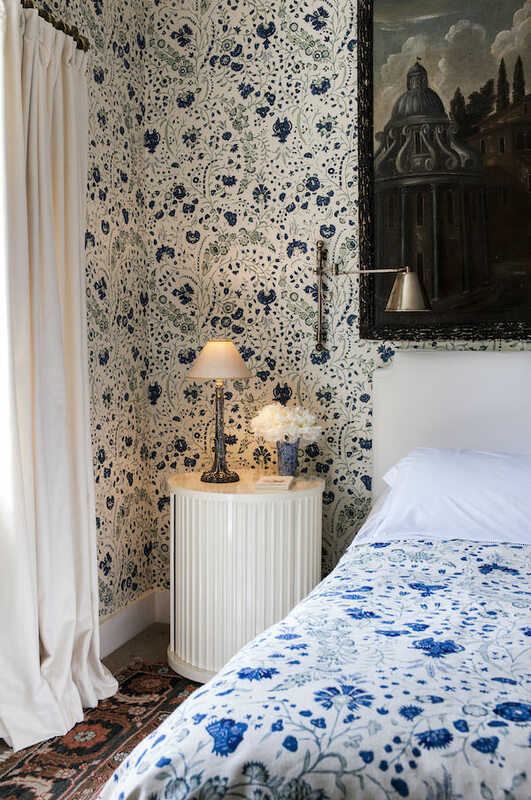 With coloring faithful to the original, the elaborate pattern is printed in nine colors on glazed poplin, a lovely new addition to Soane’s fabric repertoire. 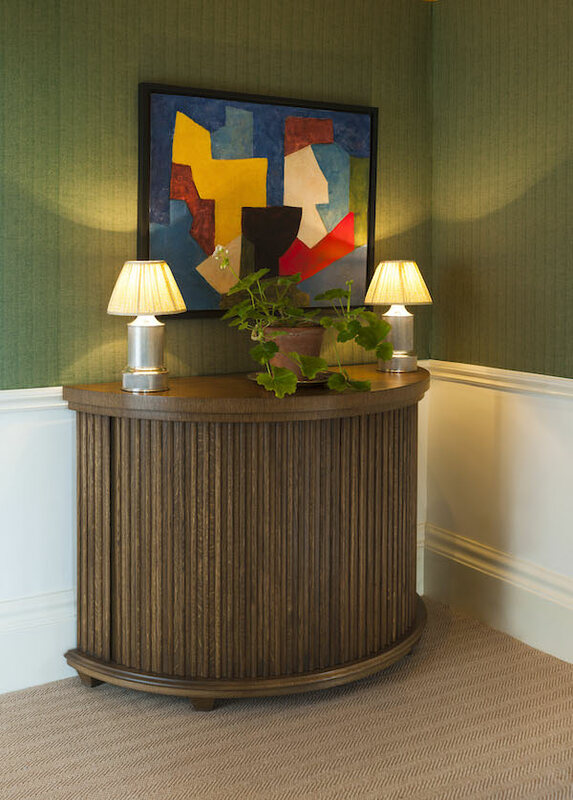 The divine move-in-ready vignette above also features the new Hurlingham Side Table. 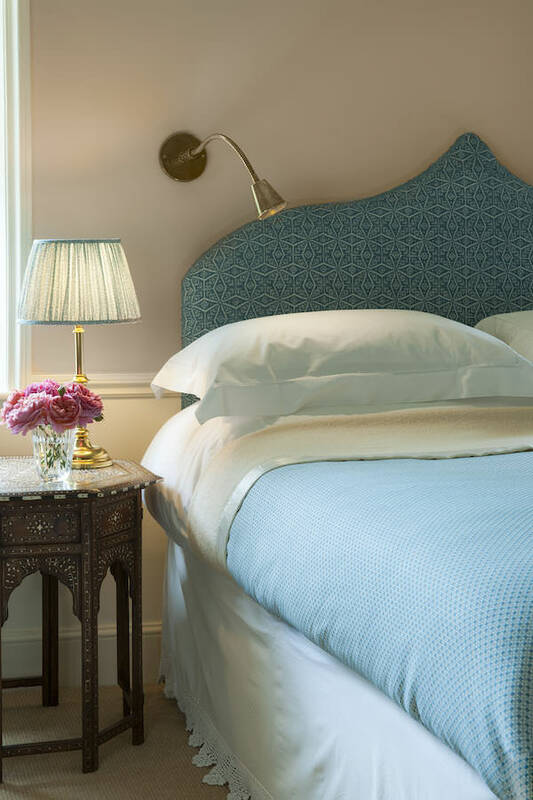 Part of Soane’s distinguished rattan collection, handmade by craftsmen in their Leicestershire workshop – the last remaining one in England – the hexagonal design features a charming diamond lattice and wooden top and shelf. The adorably chubby Wooden Turkic Lamp, shown above in Indian Yellow, was inspired by a 13th century Islamic jar and is offered in any of Soane’s in-house painted finishes. See it below in Azure. 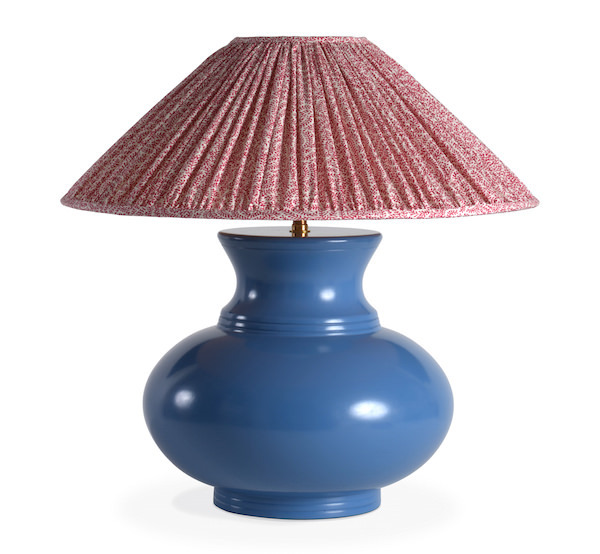 The lampshades are available separately. The fern patterned background of Paisley Parrot, also on the original 19th century Indian document, was also used in Iran on block printed textiles known as kalamkari, meaning drawn with a pen. 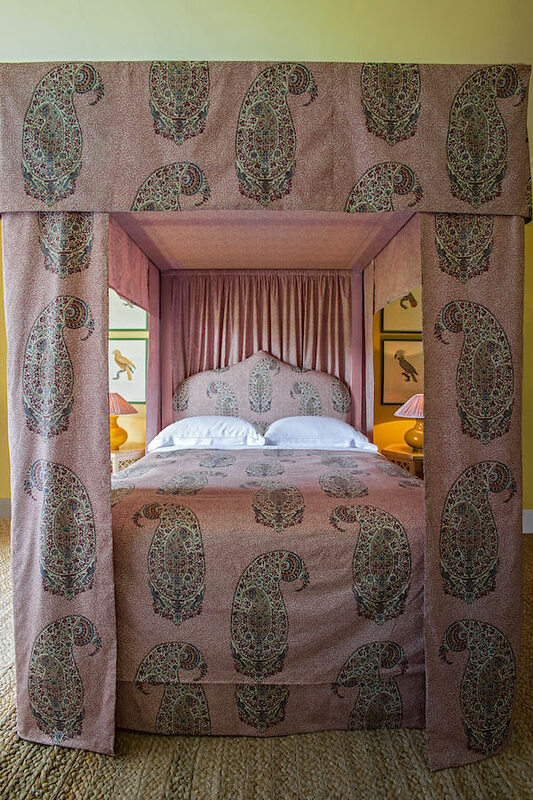 Lulu has also produced this delicate design as a fabric, Coral, on its own in five colorways below (chestnut, pink, azure, gold and emerald), printed on the same glazed poplin background, that complement the entire Soane range. A perfect small pattern with infinite uses. But perhaps you prefer to sleep here featuring the beautiful new azure colorway of some classic Soane woven favorites – a bed cover of Celestial Square and headboard in Kaleidoscope, with the very handsome and handy Argo Flexi Wall Light, whose brass rope design simulates that found on a 1940s French table. It is also available in table and floor light versions, all with the same rope detailing and flexible arm. 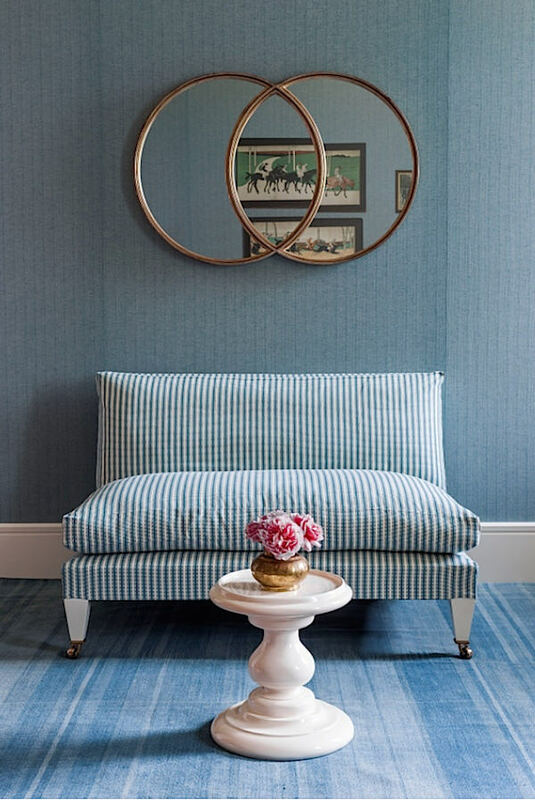 Also showcasing the new custom yarn for azure wovens is the Jajim Stripe, shown below on the armless Rampart Sofa. Hanging above is the striking new Venn Mirror, handmade by a blacksmith who bends hot iron bars around circular jigs for the unique shape which is then hand-beaten for a tactile and detailed finish. and the new Argo Flexi Table Light (a closer look below). While a bold stripe, Fez is filled with wonderful intricacies that give it that organic hand drawn feel. In the ever challenging search for elegant TV solutions, welcome the sublime Rivoli Media Cabinet. Like the other leather-clad pieces in the Rivoli collection, the new cabinet is inspired by a French 1950s table. With a brass frame and retracting doors, it has space for a screen and drawers or shelves as specified. Refined with a simple sophistication, it seems as if it could have been plucked from Villa Kerylos. 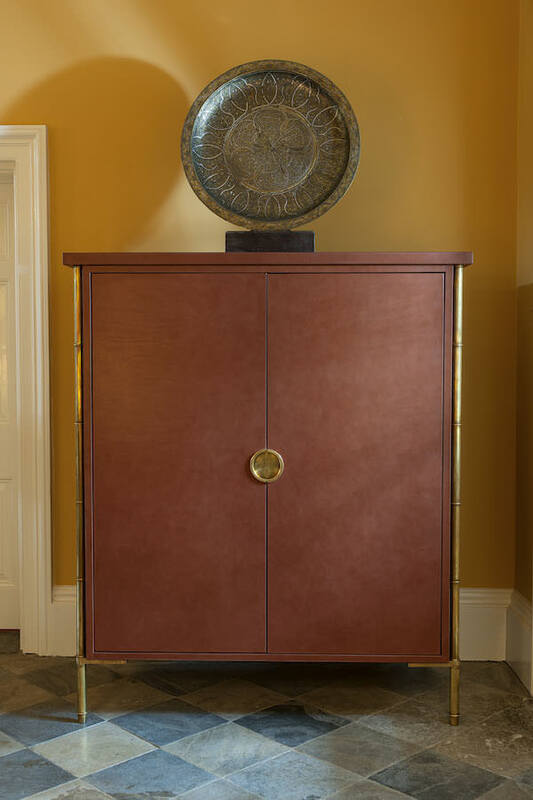 And while there are several more Soane Fall 2016 introductions for you to discover, my final share with you is the Demi Lune Tambour Cabinet. Inspired by a 19th century Scottish antique, this versatile storage piece is fitted with two tambours and a shelf, available in wood or high gloss painted finish. On the walls is the new Bayleaf colorway of Old Flax, an incredibly beautiful and versatile handwoven fabric with a subtle texture that adds a depth and variation to any color it features. Appropriate for both curtains and upholstery, it is also now available, in addition to the existing 20 colorways, in a soft Moss green and the new Azure. Thank you to Lulu and her crew for entrusting me with a sneak peek of the stunning new Soane Fall 2016 collection! It’s the best of style and substance! This entry posted in design, furniture, interior design. 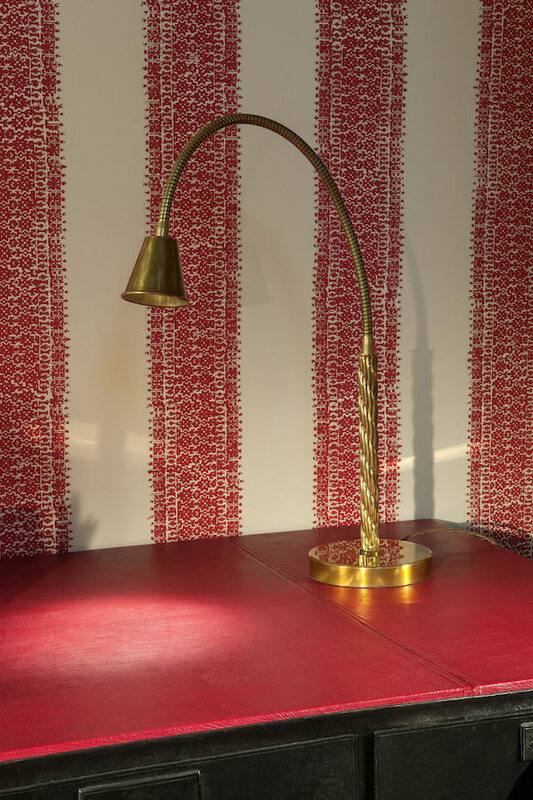 Entry Tags: Fabric, Fall 2016 collections, Furniture, Lighting, Soane Bookmark the permalink. Chic beyond words! Lulu is the true meaning of talent! 81 queries in 0.464 seconds.